It's the holiday season! With all its hustle & bustle, trimmings & trappings, baking & giving... and scrubbing & cleaning. 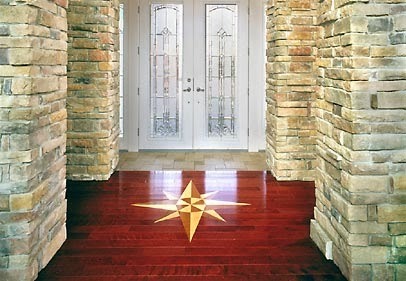 Whether you are getting ready to have people over and need to know how to get your tile grout clean or you are recovering from a get-together and wondering how you're ever going to get the stains out of your carpet - Kermans Flooring has you covered. Put away the rag mop. Mops often drag that dirt right into your grout giving you an even trickier cleaning challenge. Use a microfiber mop that will pick up the dirt instead. Sticky residue on tile - such as hairspray - can be removed with a solution of one part fabric softener and two parts water. Use natural stain removers. Cover the stain with lemon juice or vinegar, let sit for a few minutes and then scrub away with a stiff brush. Before you break out the grout cleaner, try rubbing sandpaper or a pencil eraser over the grout to remove surface stains. Most dirty grout is just dirty on the surface. Once it's clean, talk to Kermans about sealing your grout to help keep it looking like new. More cleaning tips from Kermans - your Indianapolis tile store. Black tea bags & some elbow grease. Let three teabags steep in 4 cups of hot water for a few minutes. Dip a rag into the tea, wring it out so it is damp not soaking and then wipe down your hardwood. The tannic acid in the black tea really brings out your wood's natural shine. Added bonus: pick a tea with lavender, cinnamon or lemon to leave behind a pleasant smell. Spot clean with vinegar. In a spray bottle mix together 1/4 cup white vinegar and 30 ounces of warm water. Spray on a stain or scuff mark and then wipe up with a clean rag. More cleaning tips from Kermans - your Indianapolis hardwood flooring store. Tip for any tile, hardwood or laminate floor: always sweep before wet cleaning to get rid of loose dirt and crumbs. Keep club soda on hand. If you can get to the spill fast enough, club soda can pull out even tough stains like wine or grape juice. With a clean towel, blot up the spill then soak the area with club soda. Blot with a clean towel or rag until clean. Contain a big spill with corn meal. If you have a spill in a large area, let corn meal help you soak it up. Once the area is dry - vacuum up the corn meal. 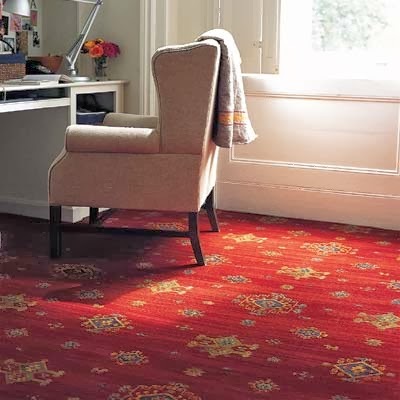 More cleaning tips from Kermans - your Indianapolis carpet store.